Today developer Dean K, mastermind behind MultiMAN, has released a new version of his .sprx plugin known as webMAN. Check out the changelog and the download links provided below. To grant NTFS access to webMAN you will have to use prepNTFS. You can either install the prepNTFS.pkg application or launch prepNTFS.self from multiMAN's mmOS. 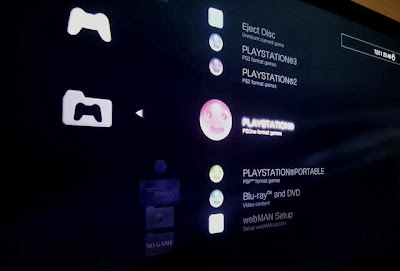 In either case prepNTFS will scan all connected USB drives and will generate data for all PS3ISO/BDISO/DVDISO entries in /dev_hdd0/tmp/wmtmp. NTFS entries have .ntfs[PS3ISO] / .ntfs[BDISO] / .ntfs[DVDISO] suffixes - 64KB each - this is what webMAN will use to mount the games/videos. For covers/title-names to appear properly you will have to mount the PS3 game at least once, so webMAN can cache the PNG and SFO for the title. You have to use prepNTFS if you add new content to your NTFS formatted USB HDDs. Do not forget to use [Refresh XML] / [Refresh HTML] to refresh webMAN's data.